Street Law provides vital support for some of our community’s most vulnerable members. We are seeking your assistance to sustain this support. 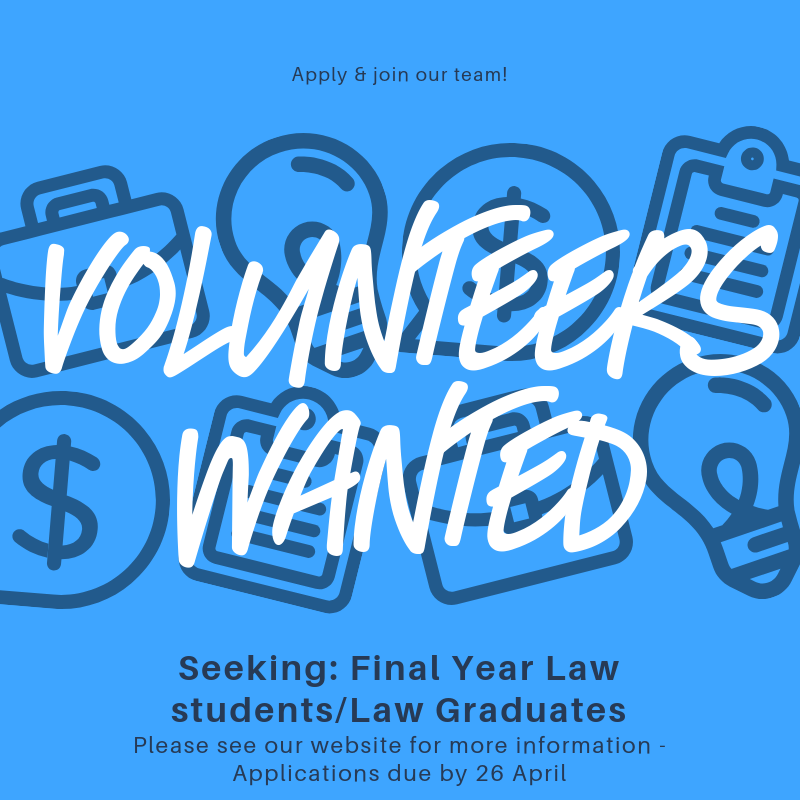 We’re looking for final year law students or graduates to help us out over the next six months. We’re a little different here at Street Law. As we are a small team, you may have to start working on tasks before getting briefed on them. The circumstances our clients are in, and how they got there can be confronting. Also, while we do only help people experiencing or at risk of homelessness, we cover a wide range of legal areas. There are many common issues we see, but you may also be required to research a new, very specific area of the law. Can you argue that the corner of the public park you sleep in is your dwelling, if you’ve been sleeping there for over six months? Can you access a coroner’s report of a family member if you are, but don’t have identification to prove you are immediate family of the deceased? Can you that argue that using everyday swear words is not disorderly conduct? If our description hasn’t scared you off, you should definitely look to apply. We normally only take final year law students, but may consider other years depending on your experience in dealing with challenging issues, the homelessness sector and experience with a range of clients. This must be submitted before 5pm on the 26th of April 2019. Your cover letter must address the Selection Criteria listed in the role description. Emergency Relief funding from Lotteries West. Street Law Centre WA Incorporated acknowledges the Aboriginal owners and custodians of the land on which we live and work. We recognise the spiritual relationship Aboriginal people have with Country and pay deep respect to Elders past, present and emerging.